Shelby County has so much to offer all year long! 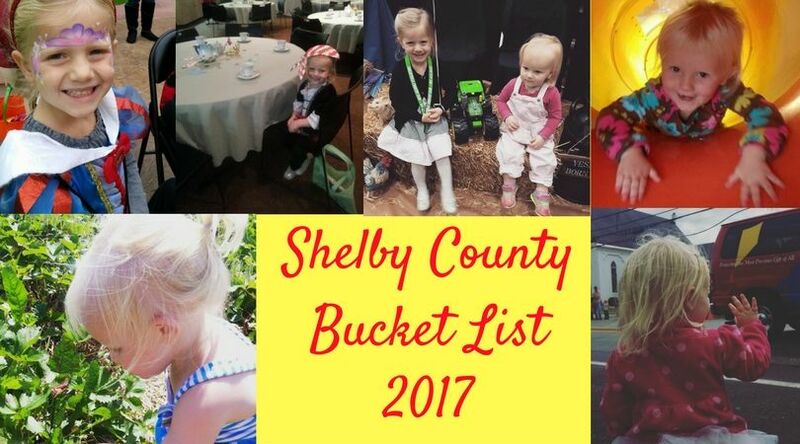 Check out some of these fun activities we decided to include in our 2017 Shelby County bucket list! Keep warm by playing indoor at Kaleidopscopes Indoor Playground, Inc. The price is $6 per child and they can play all day long! Head over to the Miller Outdoor Education Center on Saturday mornings and check out some of their wildlife exhibits and demonstrations. It's FREE! Watch a show at the Shelby County Community Theater. Check their website for show information, times and prices. Participate in the Shelby County Public Library adult winter reading program. Participants will have numerous ways to earn tickets for weekly prize drawings. Participants who read 5 books will be entered into the grand prize drawing. This program is for adults 18 and over, and you must have a library card (signing up for one will earn you a 'weekly prize drawing' ticket). If you plan on participating for the 2017 program you better hurry to the library to sign up! Eat at the Claudia Sanders Dinner House. Don’t forget to check out the ‘Claudia Sanders Dinner House Cookbook’ so you can try your hand at some famous recipes. Go horse back riding. There are several areas around Shelby County that offer horse back riding trails. Red Orchard Park in Shelbyville has free hiking and horse back riding trails. Shelby Trails Park has several horse trails to choose from, as well as pedestrian trails. You must purchase a $50 yearly permit or a $10 daily riding pass. Guided trail rides are also available for $25 for a 50 minute ride (call 232-2110). Check out some other options for horseback riding here. 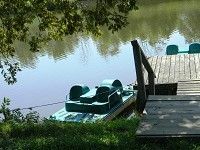 Rent a paddleboat, canoe, or rowboat at Lake Shelby. If you want to experience more of what Lake Shelby has to offer, you can pitch a tent and stay the night. This 20 acre lake is also fully stocked, so don't forget your fishing gear. I hear they have a boat playhouse too. Sounds awesome! Check out some of the wonderful Shelby County Parks. Get outside and play! 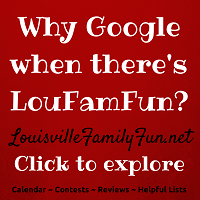 Attend one of the Spring Festivals or Easter Egg Hunts in the area! List of festivals and dates to be updated soon! Shelby County is considered the American Saddlebred Capital of the World because of the many American Saddlebred breeding and training facilities. So one thing you must do is take an American Saddlebred Horse Farm Tour! If you are staying in a Shelby County lodging accommodation you can schedule a tour for FREE (donation suggested). All other tours are $10 for adults and $6 for children 12-17. Tours will not resume until March 30th. Shelby County Farmer’s Market begins in April at the Shelby County Fairgrounds. Over 30 farmers from around the area bring fresh produce and handmade goods to sell. Check online to see a list of some of their farmers, as well as their produce calendar. Don't forget to look for the Rooted in Shelby logo! Pick blueberries at Blues-End Farm! The Shelby County Fair has something for everyone. 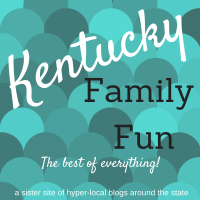 Some favorites include a tractor pull, truck pull, beauty contests, agricultural exhibits, livestock, youth exhibits/contests, horse show, and carnival rides. Oh wait, don't forget the fair food! The summer reading program at the Shelby County Public Library is fun for kids of all ages. They have a kick-off day that is full of crafts, games, music and prizes. The library has several special events each week during the program as well. Children who complete the reading requirements receive a book, certificate, and dining coupons. Go geocaching with your family! Simpsonville Red, White, and Boom usually starts around noon. It's free admission and free parking. This event is full of music, food, bouncy houses, vendor booths, and of course fireworks! The event takes place at Simpsonville Park. The Shelbyville Horse Show at the Shelby County Fairgrounds is a Shelby County tradition that you won't want to miss. Are your kids bored of summer yet? Enjoy some FREE family fun! Cool off at the Family Activity Center in Shelbyville. They have an indoor and outdoor pool (with fun slides). They also have playground equipment, a golf course, and fitness equipment. Non-members can pay a daily fee to use the facilities. Fishing at Guist Creek & Marina in Shelbyville. Guist Creek is the largest lake in the county at 317 acres. Word on the street is that it's one of the best bass fishing areas for its size in the state! Get your fishing licence and head on over. Camping is also available from March through November. They have a marina, supply shop, boat dock, and a special area for water skiing (end of May through the end of September)! How fun! Take a self guided farm tour at the Shelby County Good Neighbors Farm Tour event in September. It's a one day event that allows you to see and touch various farm animals, farm equipment, crops, and farm products. 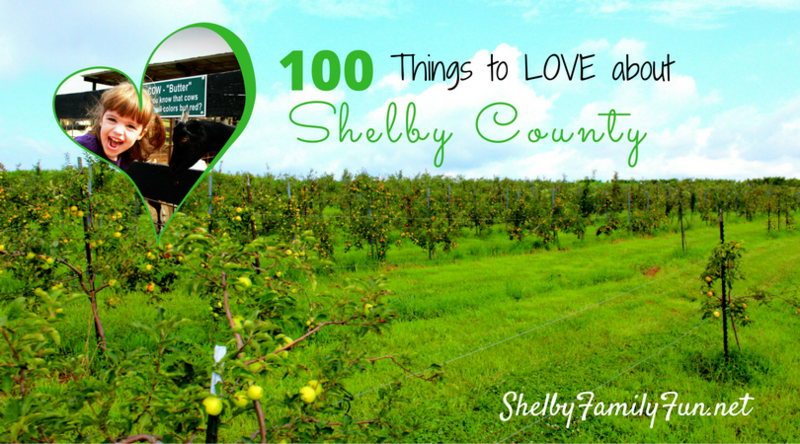 It's also a great way to see what great farms there are in Shelby County. The best part....it's FREE! Take an alpaca farm tour! 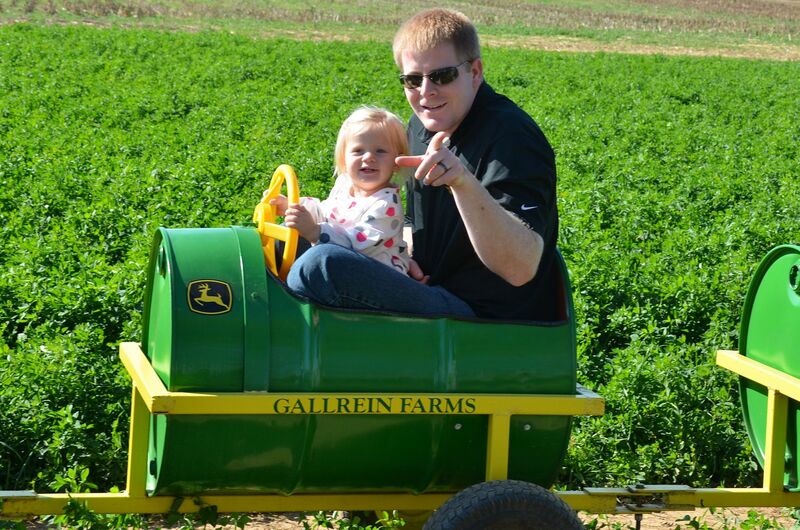 Check out Gallrein Farms for a hayride to the pumpkin patch, corn maze, petting zoo, and even climb a hay pyramid. During weekends in October, Gallrein has other fun activities such as pony rides, painting pumpkins, and a really cool barrel train. They have a nice market and deli too (with delicious homemade fudge). Visit Mulberry Orchard for a Light the Night corn maze and bonfire. Bring your flashlights and try to make your way through the dark corn maze. When you've made your way out you get to enjoy a bonfire. The Mulberry kitchen will be making tasty treats to enjoy as well. Sounds like a super fun night! Get in the Holiday spirit by attending the Celebration of Lights in Shelbyville or Light Up Simpsonville. Both events offer food, vendors, crafts, games, music, Santa visits, and lot of family fun leading up to the lighting of the towns. Shop Small on the Saturday after Thanksgiving (and throughout the year)! Walk down Main Street in Shelbyville and browse the unique shops. You could spend all day shopping at some one-of-a-kind stores such as Stacey's Simple Stuff, Paisley Pig Antique Mall, or the Polka Dotted Pineapple. Stop for lunch at McKinley's Bread Shop & Deli to refuel. If the lights didn't get you in the Christmas spirit, the Shelbyville Christmas Parade will! It's an annual event sponsored by the Shelby County Fire & Rescue Department, and it's sure to please. Adorable floats, music, and, of course, Santa make this event a yearly tradition for many families. Shop at The Outlet Shoppes of the Bluegrass for some great deals. This great addition to Shelby County has 80 shops and restaurants in one area. With Christmas around the corner, this is a great one-stop shopping experience for sure. The new stores are open! We hope you have a wonderful year making fun family memories!